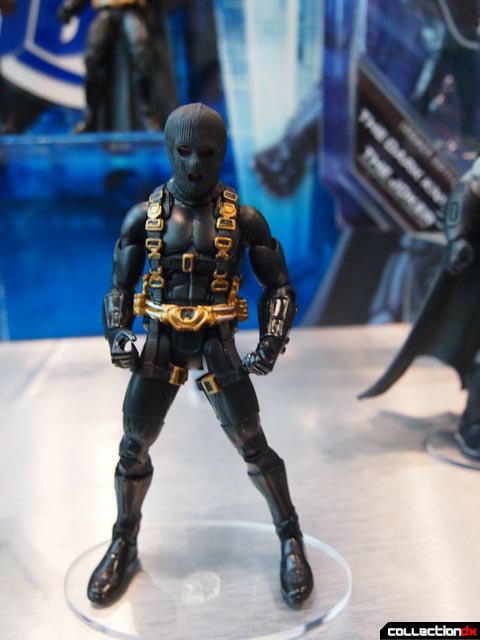 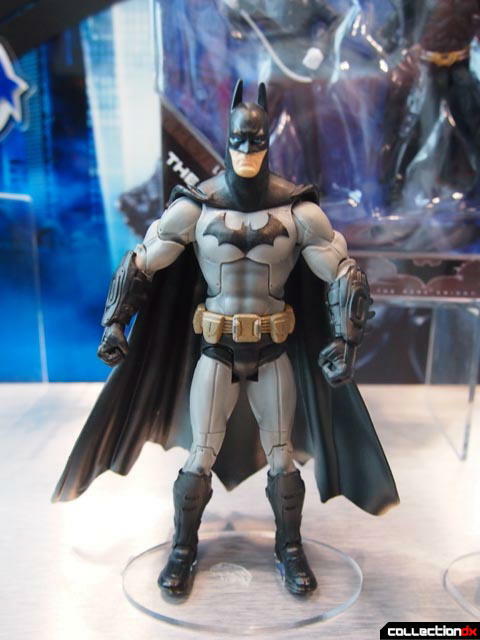 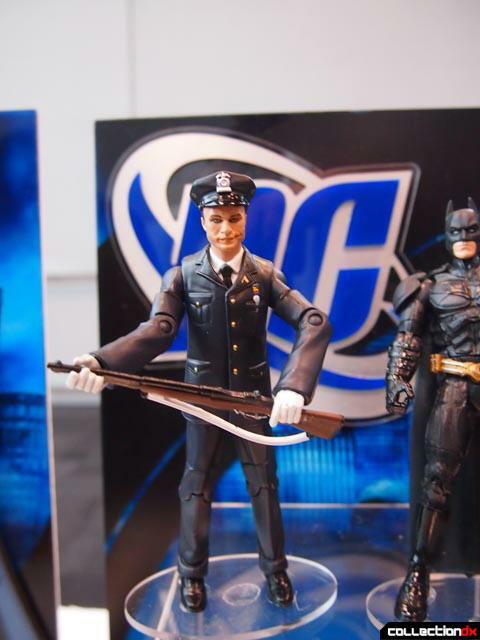 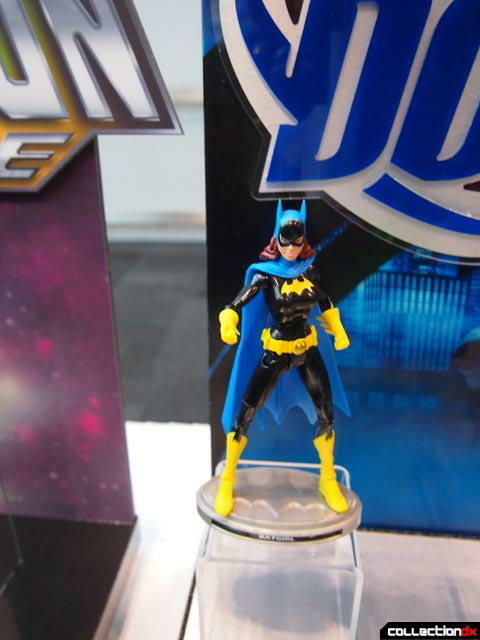 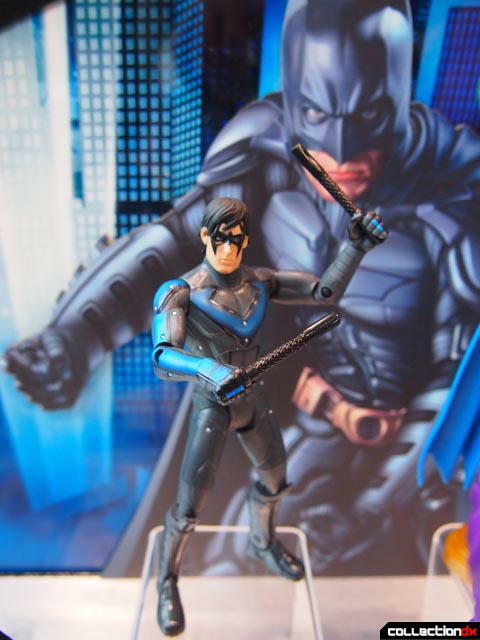 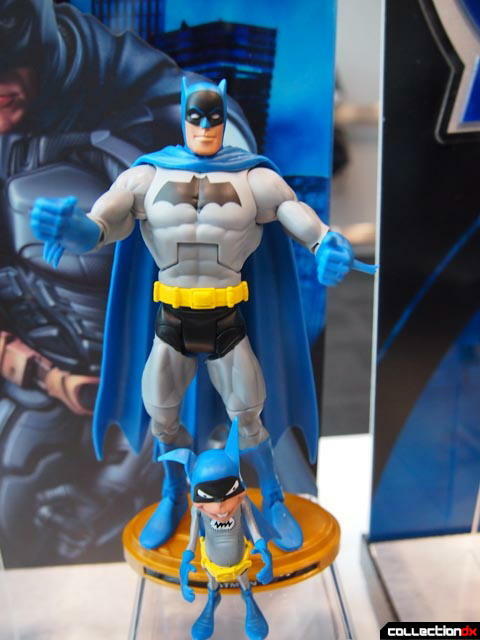 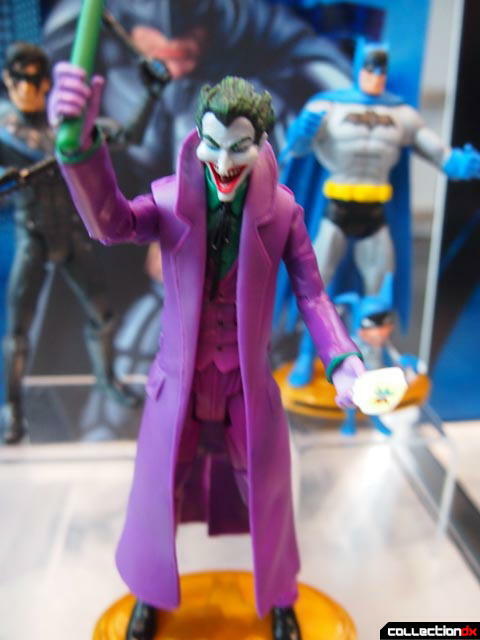 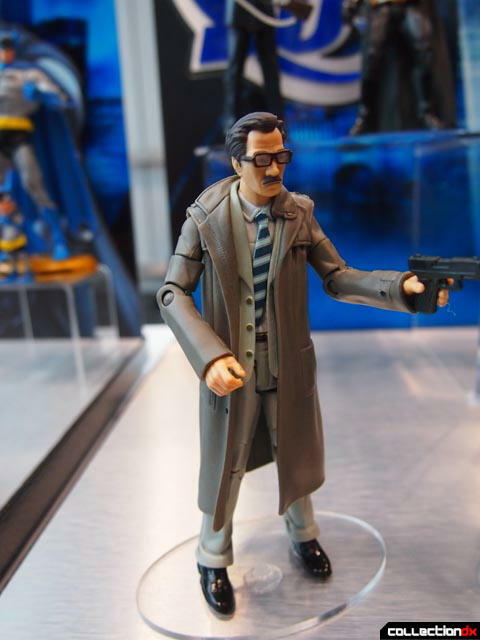 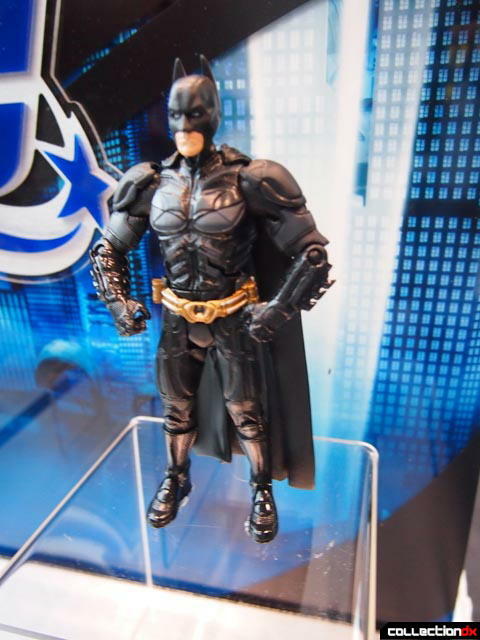 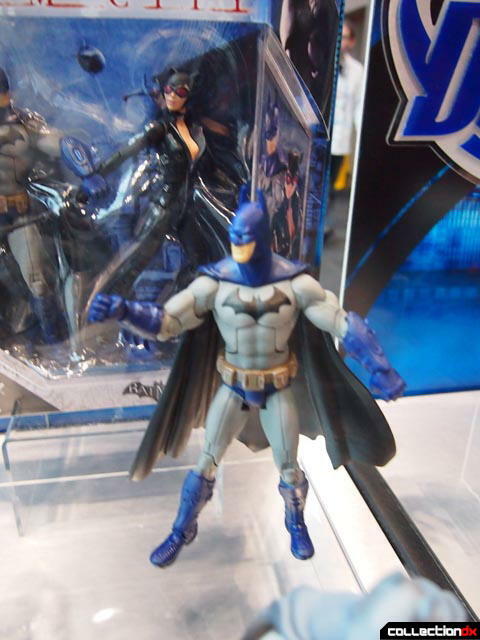 The most interesting in the long line of DC heroes were the new Batman toys from The Dark Knight Rises. 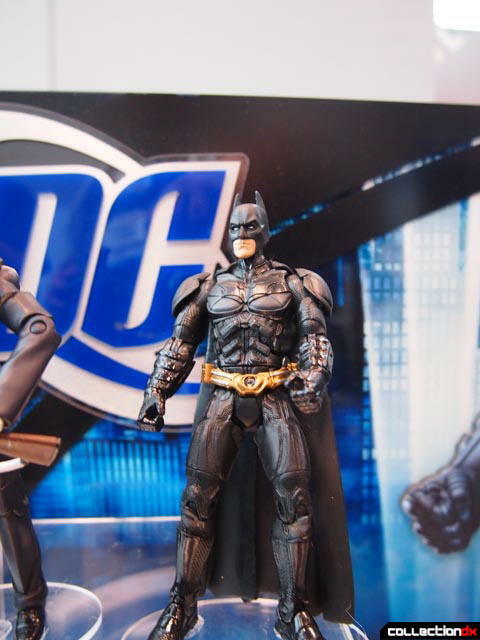 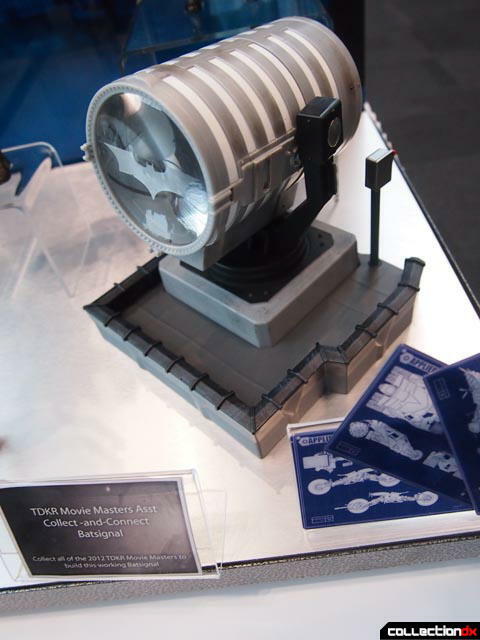 On display were Batman, Bane, and Catwoman, along with a buildable Bat-signal that will actually work when assembled. 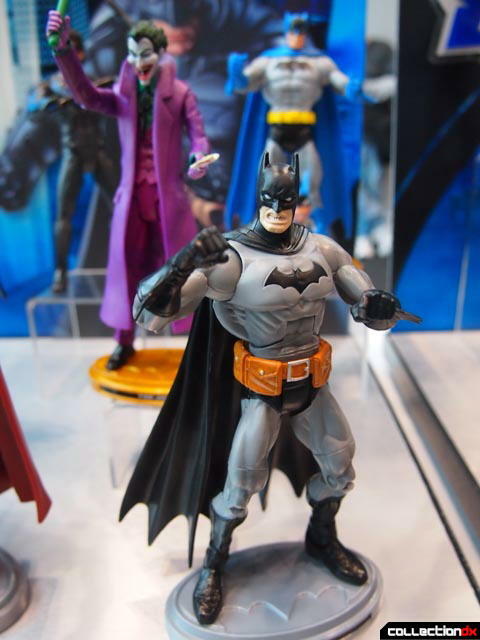 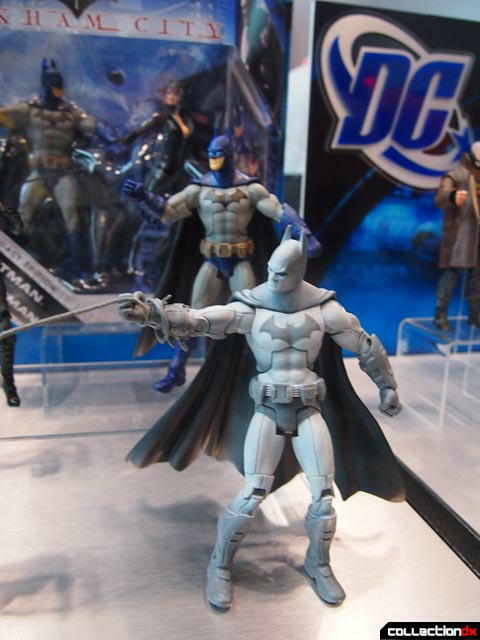 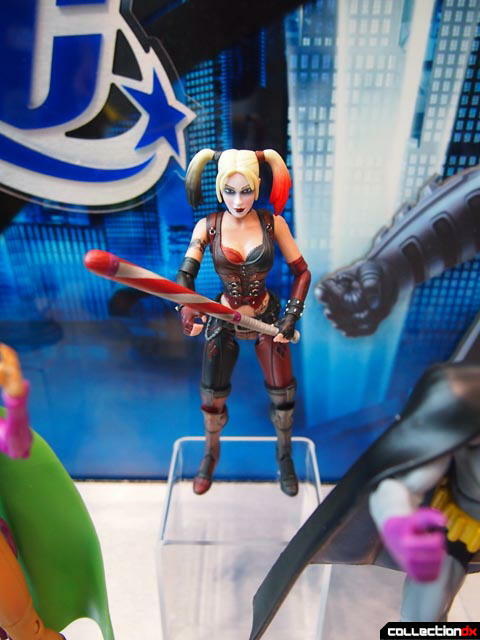 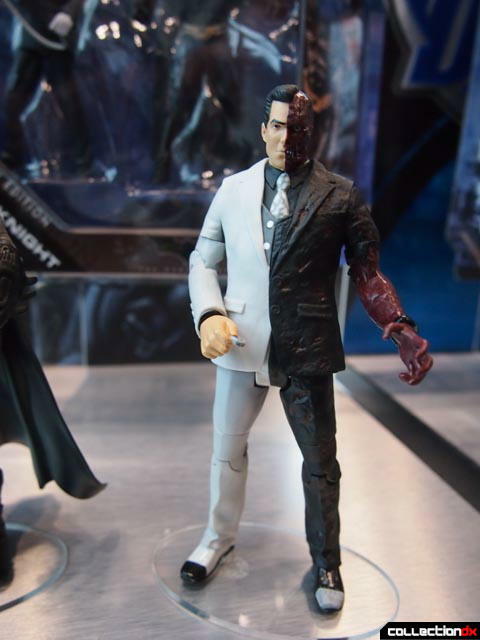 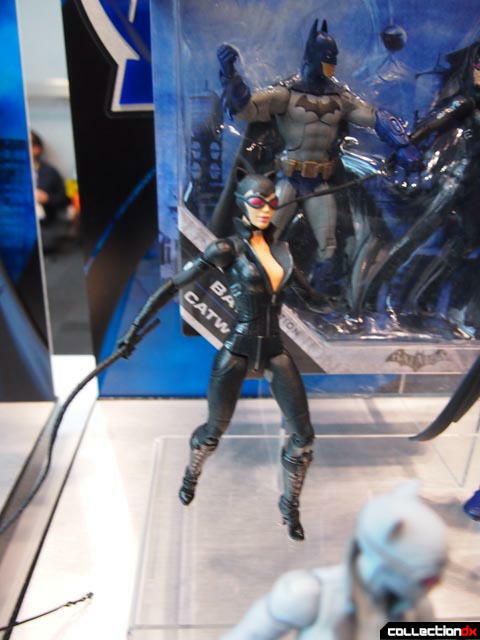 Other figures from the Batman universe including Arkham City, the new 52, and the earlier Batman movies. 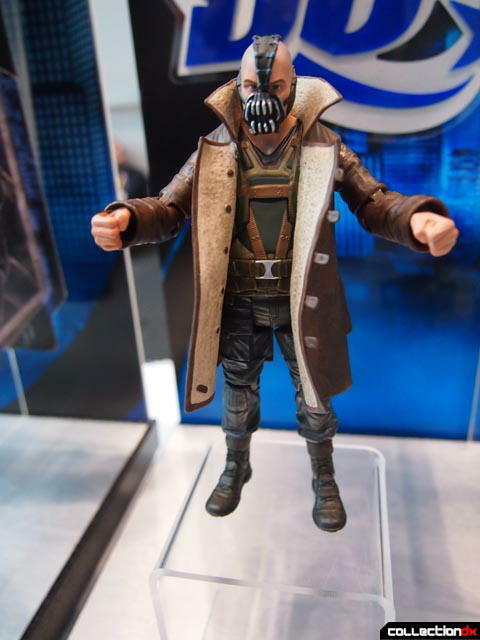 Who's the wolfman in the high tech bel--? 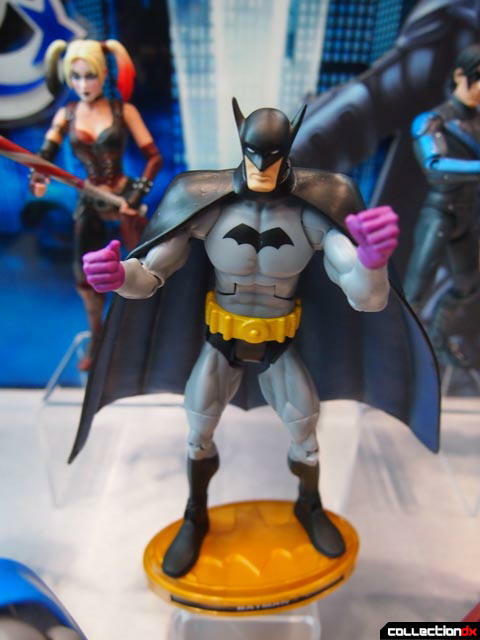 Oh, that's pre-Batman Wayne. 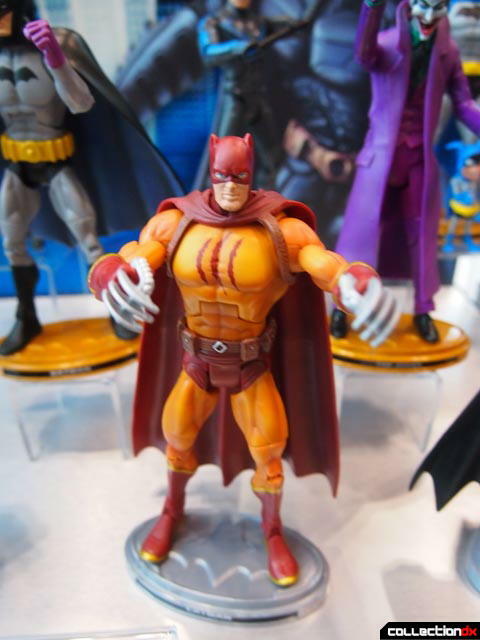 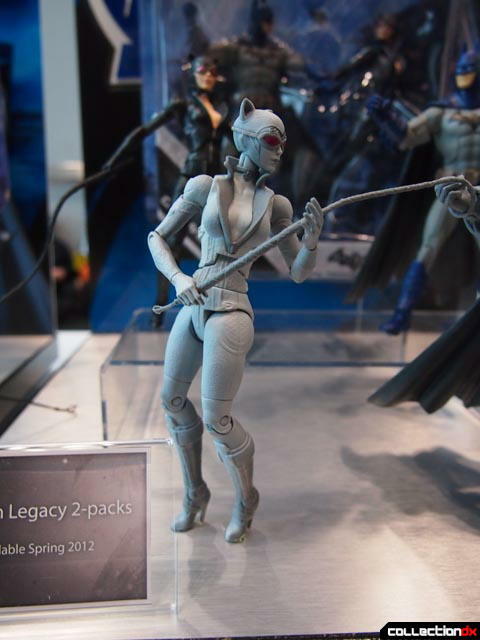 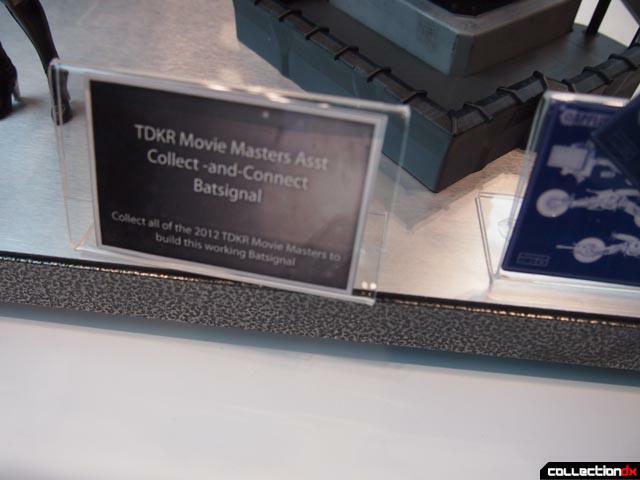 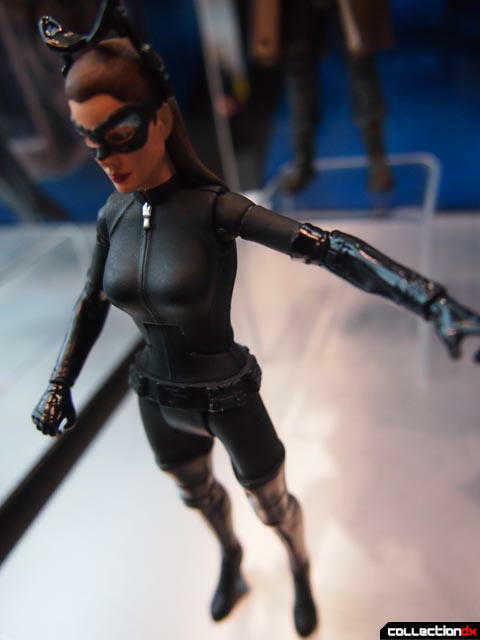 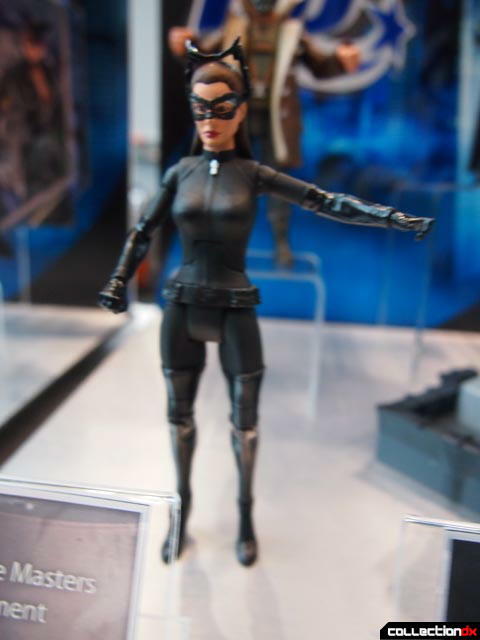 Are those supposed to be 'ears' for TDKR's Catwoman? 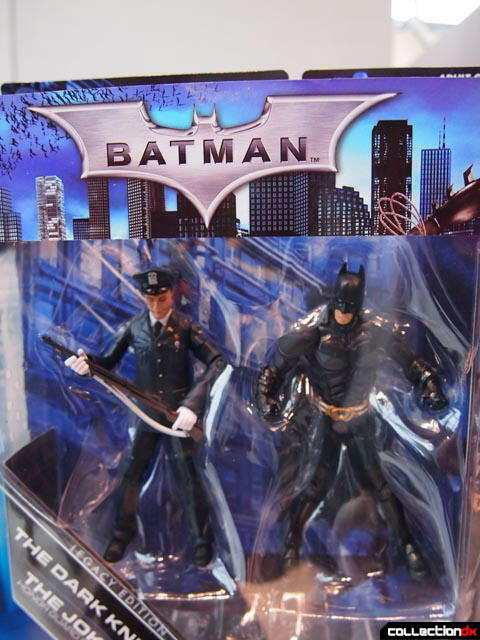 You gotta look hard to see that hair-thingie that way. 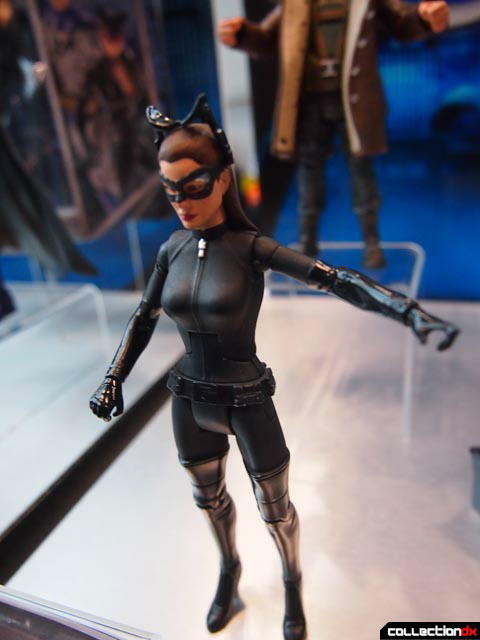 Take off those cat ears, you are not kawaii.